As further evidence of the rapidly growing popularity of mobile, the number of active daily visitors visiting Facebook on mobile devices is now higher than the number of people checking the social media site on their desktop computers. This is the first time that mobile has surpassed traditional desktops for accessing Facebook and a strong sign of the ubiquitous use of smartphones and tablets by mainstream audiences. CNN.com reported how on this mobile momentum may guide the social media network’s direction of development. Facebook is the world’s leading and largest social media network with more than one billion active users around the globe. In addition, Facebook was the most-used mobile app in the U.S. in 2012 across both iOS and Android devices. Recently, Facebook has focused on enhancing its mobile features and apps and this move appears to be working to its benefit. This measure of mobile success should encourage Facebook to pursue more mobile improvements as the social network strives to bring in additional streams of revenue. The most likely progression is through mobile advertising. 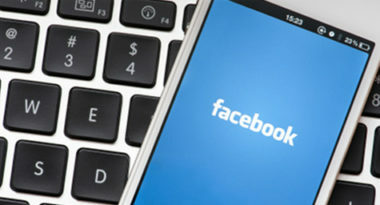 While advertising in general accounts for a whopping 84 percent of Facebook’s revenue, the fourth quarter of last year saw a sharp rise in the company’s mobile advertising and it delivered almost one-quarter of their ad revenue. Now, global companies like Walmart are investing in mobile ads on Facebook and many other big brands are expected to follow. Smaller businesses are also experimenting with mobile ads on Facebook and are experiencing good early results. Facebook also generates revenue from popular social games, but the company is looking to advance beyond individual games and evolve into the default mobile platform for all Web gaming developers. While mobile Facebook advertising is now paying off, the company’s latest focus has been on the debut of their innovative new search format, Graph Search. Currently, this search feature is still in the testing stages and is not yet available for mobile users, but its success would likely lead to a mobile version and its evolution into a means of mobile ad revenue. To learn more about integrating Facebook advertising into your mobile marketing strategy, contact MDG Advertising. MDG Advertising, a full-service advertising agency with offices in Boca Raton and New York, NY, is one of Florida’s top integrated marketing agencies. Our 360° approach uses just the right mix of traditional and digital marketing to reach your advertising goals. While some industries may fare better in print and others online, we strive to create a balanced approach, where traditional, social media, and digital marketing efforts support each other and your message is tailored to the medium. To stay on top of the latest mobile trends in marketing and advertising, contact MDG Advertising.